This is Tenacontrols Second Generation control board for the Franklin NX-326. This is a fully integrated remote control and lighting system all one board with more current capability then the previous one. You can turn on/off any ONE of the lighting functions like the Navigation, Impulse Engines, Thrusters, Internal Lighting and Bussards individually or turn them ALL on/off. You will also have the ability to Speed up or slow down the Bussard Effect. TenaControls uses the best commercial grade components in the manufacturing of all our controls. Before shipping, each board is Digitally set in software to the correct time sequence, for the most accurate setting. 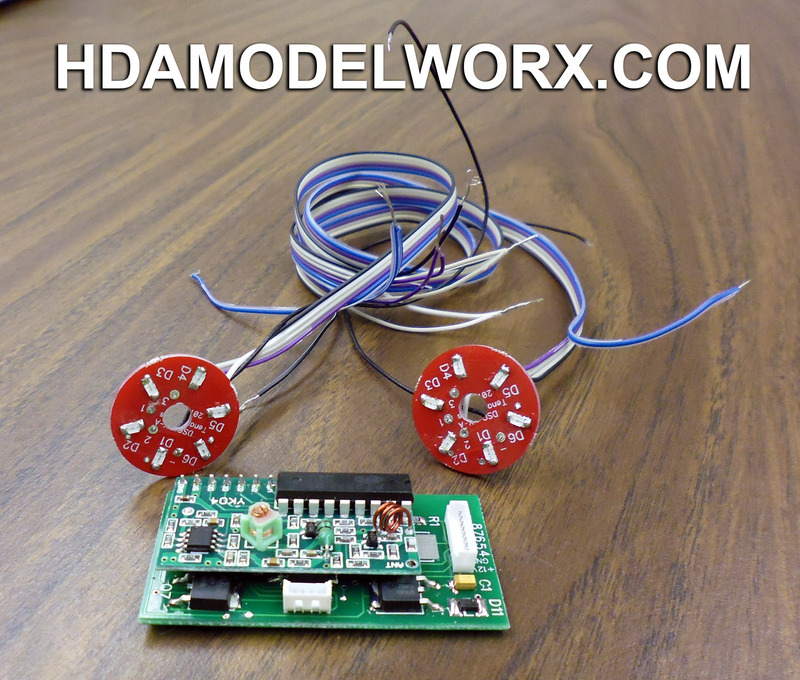 This board and the remote control receiver board are small enough to fit nicely within the model. The only wires that come out of the ship are the Two power wire. How cool is that? Important: This board will work on 9 or 12 volt DC supply. Note: Tenacontrols does not provide the fiber optic strands needed for some small illumination areas. They leave this up to the individual modeler to use what ever size they prefer.